Dustin Diamond, who played 'Screech' on the TV series “Saved by the Bell”, was arrested again Wednesday in Ozaukee County. 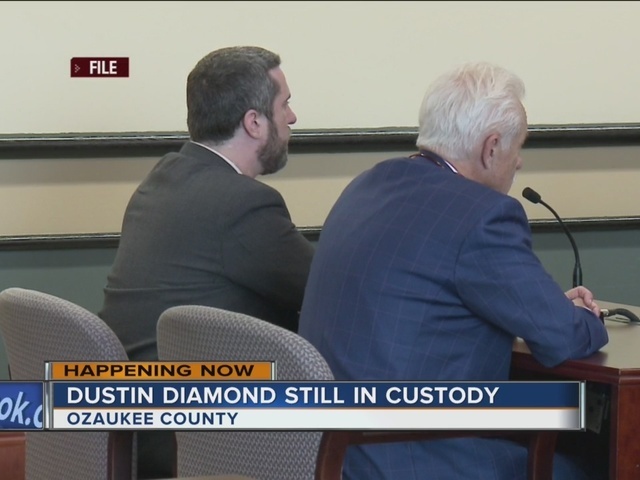 The Sheriff's Office is being tight-lipped as to why, saying only that Diamond is being held on a probation violation issued by the Wisconsin Department of Corrections – Division of Community Corrections. Jail officials said they will hold Diamond until his probation agent says to release him. Diamond was released from jail last month after serving a three-month sentence for stabbing a man in a Port Washington bar. Court documents indicate that, as conditions of his probation, Diamond is supposed to maintain absolute sobriety, have no contact with the stabbing victim, not return to the bar where the stabbing occurred, and pay supervision fees. Recently, Diamond was interviewed on Extra by Mario Lopez (who played AC Slater on the show) about his time behind bars.